Wireless nurse call systems have revolutionized communication. Long being available only in the hospital setting, its uses have become abundantly apparent in other industries as well. If you are looking for wireless nurse call systems, so that you can get aboard this trend, consider BellMe. We have sole distributorship from one of the leading wireless nurse call system manufacturers in the world. We are based in Durban, and our products are supplied both here and to neighbouring countries. Since starting in 2012, we have amassed a huge following for our products and services. Businesses, the healthcare industry and even individuals are fast becoming fans of our products. Let us take a further look at the many uses of our wireless nurse call system. Home Use- wireless nurse call system manufacturers have developed this product to make caring for an individual much more effortless. Whether the patient is in their golden years or recovering from an injury, constant care is needed. 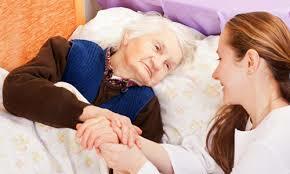 This does not mean that a caregiver would need to hold a vigil at the bedside. This is possible with a nurse call system and much more practical when it is wireless. Patients would simply press a call button when they require help and caregivers can respond immediately when they receive a signal on their receiver device. Often times, people are caught off guard when placed in this scenario. You would want your communication setup to be handled and working as soon as possible, which is just what the BellMe wireless system offers. Hotels- this is a sector where guests are notorious for demanding excellent service. After all, it is the hospitality industry. Our wireless nurse call system manufacturers have designed just the call button to meet this need. Guests can get the attention of nearby staff to their rooms much faster. This is in contrast to having to call down to reception who will then arrange to send someone up. Managers can also call up staff to their office with the simple press of a button. Spa- the serene atmosphere of a spa environment can remain calm with the use of a wireless nurse call system. Receptionists can let therapists know when their client has arrived and come out immediately to greet them. A call button in the room can be used by the client to notify the therapist of when they have changed and are ready for their treatment. 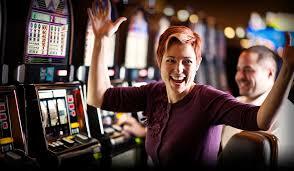 Casino- in this gaming setting, call systems have proved a huge success story. Wireless nurse call system manufacturers market this as a double win. This wireless system allows for remote communication between staff, to be exactly where they are needed and keep the flow of the gaming floor running like a well-coordinated machine. Gamers can use the call button to get help if their machine is having a bit of a glitch. They would not have to leave their machine and risk another person taking their place. Restaurants- extending to the food service sector where it is just as important to be organized, each table will have a nurse call button. Guests can use this to call the waiter whenever they need. This eliminates the need for the waiter to always hover around or for guests to have to resort to hand gestures or screaming to get their attention if they do not have access to a call button. 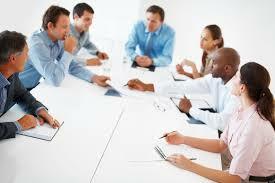 Corporate Business Setting- in a business setting, our system has various uses. During an important boardroom meeting, the discussion does not need to be interrupted when kitchen staff or reception needs to be called to the room. Managers can have instant access to staff. Reception can have a direct line to various sectors. This can be to inform staff of the arrival of a visitor for a meeting, instead of having to call through. It can be used to call up security immediately or even to alert reception of the arrival of visitors at the main gate who want to be let in. In an emergency, our system will light up LED lights in every office once the call button is pressed by reception and all staff can evacuate the building. Schools- teachers can have a call button in their classrooms. This allows them to call for help from maintenance or the HOD without having to leave their class unattended. Supermarkets- here nurse call systems work threefold. Customers can press a call button placed in an aisle to get help from a staff member at that spot. Our wireless call systems can also be used to manage queues whereby customers in a line will be alerted to tills as they become available. Finally, tellers can request immediate help from managers, allowing for customers to not wait too long in the queue. Medical Setting- this was the initial offering from wireless nurse call system manufacturers before the call buttons were shifted into being used for a whole lot of other industries as well. Here patients can ask for help discreetly, without too much of effort, which is important during recovery. Unlike the other industries where efficiency leads to increased profits, here it really is a matter of life and death. You will find that the wireless nurse call system price is more cost effective than a wired system. During the installation, there is no fuss to be made with wiring and interfering with the electrical work of a building. Along with being far faster to install, this in itself brings down the cost of the wireless nurse call system price. This will also make maintenance much easier in the future since wires will not be an issue. The wireless nurse call system price will vary based on the type that is chosen. This can be anything from a simple one call system used in a home setting to something a lot more complex which is used in a hotel for example. With BellMe, you would be getting the best wireless nurse call system price. Installing a wireless nurse call system does involve an initial investment. We do not use this term lightly. It really is an investment in your business when you install a proper communication system. It has been shown that having a system of this kind, heightens communication between both staff and customers. This results in more efficient workers and satisfied customers. This really does make the wireless nurse call system pay for itself many times over.